Microsoft released its original Windows File Manager as a Universal Windows Platform (UWP) app in the Microsoft Store and has made it available for all devices running Windows 10. 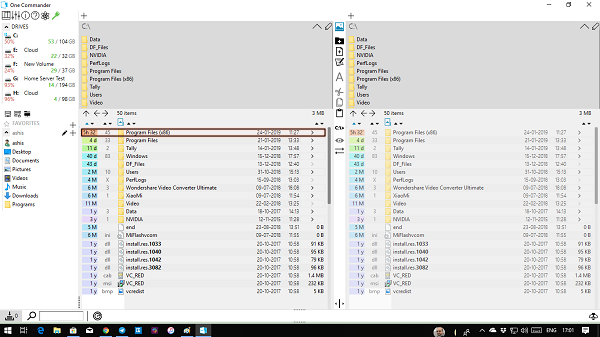 Windows File Manager is Microsoft‘s graphical user interface (GUI) through which end users could see and manipulate files and folders on Windows computers allowing end users to move, copy, rename, print, delete and search files and folders. The UWP version of Windows File Manager is available to be installed on the PC, mobile, Surface Hub and HoloLens, the Microsoft Store listing reads, which is only partially true, Softmedia News Reported on Saturday. “According to the official system requirements, you need to be running at least Windows 10 build 16299, which isn’t available on the mobile devices, so listing phones as a supported platform doesn’t make much sense,” the report said. The project, maintained on Microsoft’s web-based hosting service – the GitHub – has been made available for download and compiled by anybody on Windows 10. Microsoft is also allowing users to contribute with ideas and suggestions using the GitHub page. “The Windows File Manager lives again and runs as a native x86 and x64 desktop app on all currently supported version of Windows, including The Windows 10. I welcome your thoughts, comments, and suggestions,” the GitHub page reads. The original Windows File Manager first debuted as part of Windows 3.0.